Nutrition	L-Arginine Review: Does it work? Fitness	Ultimate Man One-a-Day Review – Is It Worth It? This pre-workout supplement is created by XPI Supplements and is touted to be 100 percent pure, so that it is effectual in maximizing your mental functions, optimizing your training, developing your stamina and intensifying your concentration and overall performance. Being an athlete, you surely know that your physical capacities have limits. No matter how hard you try to push harder, if your body has had enough, there’s nothing you can do about it, at least something that’s safe, anyway. That limit that our bodies have is the exact thing that XPI OxyPump wants to change, as its company touts. Read on to learn if XPI OxyPump can really do something about overall performance and if its claimed effectiveness is scientifically verified. With the use of essential vitamins, minerals, antioxidants and amino acids, XPI OxyPump claims to work by increasing your intensity, force, and vigor, as well as deliver greater training outcome each time. It asserts to be the ultimate pre-workout supplement that can help you achieve the results you’ve been eyeing for. What’s more is that XPI OxyPump also touts to be helpful in shortening your recuperation period by decreasing soreness, rigidity, achiness and exhaustion. Vitamin B6: Could deliver various health gains, such as boosting metabolic enzymes, protein synthesis and energy levels. Vitamin B12: Could aid in enhancing the flow of oxygen and nutrients, which leads to a better performance. L-Arginine: Could boost lean muscle mass and improve strength as well, shield muscles from catabolic processes and reduce the period spent for muscle recuperation. 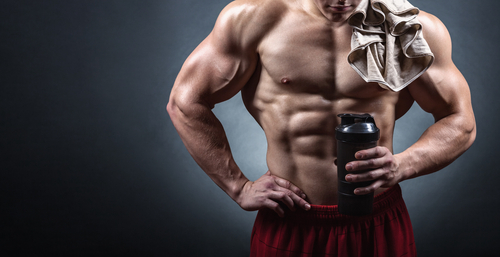 Creatine Monohydrate: Could aid in the enhancement of lean muscle mass as it also develops one’s power, force and stamina. DiCreatine Malate: Could increase the production of ATP, resulting to a significant increase in strength and muscle mass. Creatine Ethyl Ester: It utilizes a distinctive molecular structure that enables the creatine to be soaked in by the system at an accelerated pace. Beta Alanine: Could aid in the enhancement of stamina and power. Citrulline Malate: Could aid in the boosting of Nitric Oxide levels and enable higher amount of blood to circulate to the muscles. Based on the information on the manufacturer’s site, XPI OxyPump is produced in a severely managed and assessed facility. Thus, the quality of the supplement generated is excellent, guaranteeing its safety and efficiency as long as it is used properly. To start consuming it, you have to take XPI OxyPump with 8-12 oz of water before eating your main meals. You also have to take it before bedtime to allow you to recuperate faster. XPI Supplements assert that users should be able to see positive effects within only a few weeks. XPI OxyPump’s is ensured to help boost your muscle development within a 90-day period, if not you’ll have a complete refund less shipping and handling. But this refund policy is only applicable to one bottle; hence, the subsequent bottles have to be unused in order to be qualified for the money-back guarantee. To initiate this, call the customer support at (877) 999-7808. Is XPI OxyPump Effective in Boosting Your Physical Functions? The official site does give a comprehensive list of the components, but there isn’t any product label. This means that we cannot know the precise quantity each component contains. But we did find in another website that XPI OxyPump has 20mg of vitamin B6, 3,000mcg of vitamin B12, and 1,000mg of citrulline malate while the rest of the components are part of the exclusive blend that contains 5,245 mg.
Vitamin B6 and B12 are recognized to portray a vital role in a person’s cellular metabolism. They’re also largely believed to be crucial supplements that bodybuilders use, that is why it’s no wonder XPI OxyPump has them. Also, beta alanine has been demonstrated in some clinical studies to increase one’s physical functions and performances, particularly during extremely intense workouts and weight training. Supplements with beta-alanine may also delay muscle exhaustion among older individuals between 55-92 years old. Similarly, creatine in all its forms such as monohydrate, malate, and ethyl ester have been demonstrated to be reasonably efficient for enhancing the athletic functions and performance of young, healthy individuals during short yet highly intense exercises like sprinting. Nevertheless, L-Arginine could help people suffering from congestive heart issues or other forms of chest problems enhance their tolerance to workouts during recuperation, but there is inadequate proof demonstrating that it boosts muscle mass nor does it enhance physical performance for those healthy individuals. Also, citrulline malate may also be not that super efficient for increasing workout performance. In a study, L-citrulline did nothing in terms of performance enhancement on a treadmill. As a matter of fact, those individuals who took it got tired faster than those who didn’t have it. XPI OxyPump has been available for sales since May 2013, but online consumer feedbacks are rare. The few reviews we’ve read, however, appear to be appreciative of the supplement. The criticisms we’ve encountered were mostly about its bad tasted and the poor quality of the powder. As we searched for consumer feedbacks, we also learned that XPI OxyPump is created by XPI Supplements mainly headquartered in Orem, Utah. It has a D rating with the Better Business Bureau. They have one complaint about billing problems, but nothing about the product itself. Final Verdict: Is this the Real Deal? It’s already great the some of the components – not all but some – in the supplement have been demonstrated to help increase muscle capacities and, in some cases even enhance overall physical performance. But XPI OxyPump itself has not undergone any clinical study to prove its efficacy. It’s also an issue that there isn’t a lot of customer feedbacks available online, because there’s no way we can weigh the supplement’s safety and effectiveness without the customers’ experience and opinion of it. Hence, it’s better to consult with your doctor prior to proceeding. This way, you’re ensured that you’re body is in the right condition to take this specific product. Plus, your doctor can also recommend you other safer and more efficient alternatives for increasing muscle mass and your athletic performance as well.